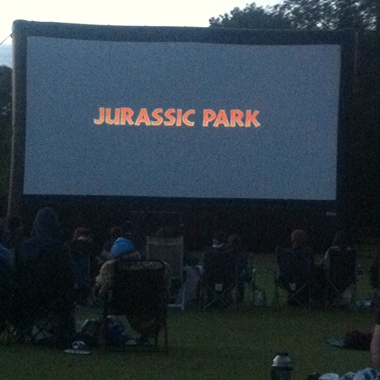 We went to see Jurassic Park ... in the park. There was an outdoor cinema screen set up and when it got dark enough they projected the film onto it. We sat on the grass. 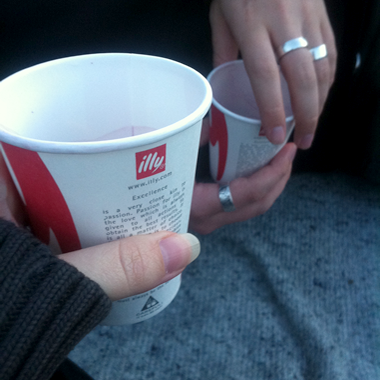 We took a few snacks but usually you are not allowed to drink in the park, so we didn't take any alcoholic beverages. Some other people had beers, so I walked up to the pub and bought a bottle of wine. The guy behind the bar was very helpful and found me some paper cups to take back with me. We should have brought some warmer clothes - it was quite chilly by the end of the film! Well worth it though. 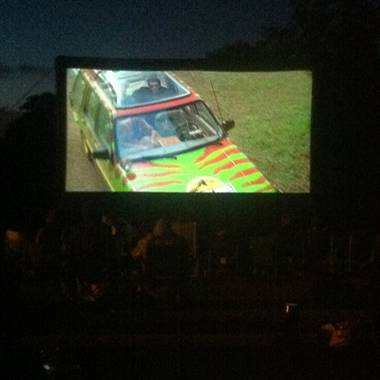 Jurassic Park, it's a classic, isn't it?